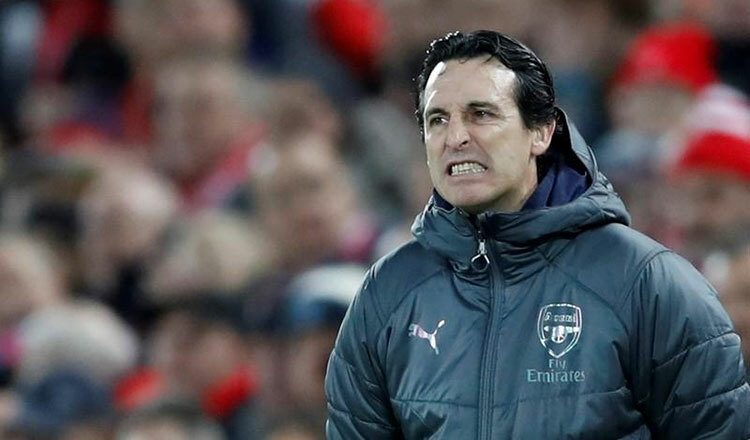 LONDON (Reuters) – Arsenal manager Unai Emery was fined 8,000 pounds ($10,200) on Monday but avoided a touchline ban for kicking a plastic bottle at a Brighton and Hove Albion supporter, the English Football Association (FA) said. “I kicked it for me and it went near the supporters. I said my apologies … I kicked it because it’s near me and not because of this intention,” Emery had said following the incident.